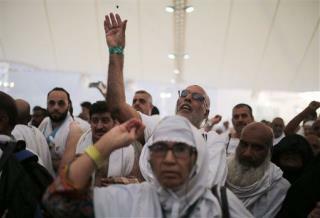 (Newser) – A stampede at the "stoning the devil" ritual has become the hajj pilgrimage's worst disaster in a decade. 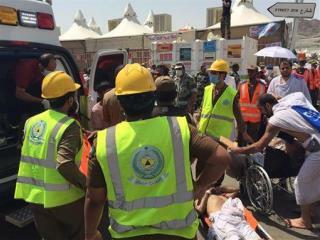 Saudi authorities say at least 717 people were killed; previous reports said at least another 450 were injured in the crush of people at Mina, near the holy city of Mecca, the AP reports. The BBC explains that the hajj is "the fifth and final pillar of Islam"; every adult Muslim who can physically and financially manage to do so is expected to make the pilgrimage once in their lives. 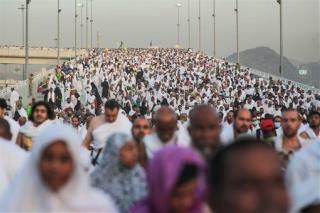 Two million people are this year participating in the annual five-day pilgrimage, which started Tuesday. 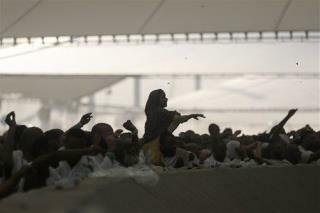 One of the final major rites of the hajj involves casting stones at pillars that signify the devil. 9/11 karma comes back! Historic lessons like Sodom and Gomorrah or Pompeii or Ubar or Lisbon don't always sink in. Don't stone the devil ..... get stoned with the devil ..... his gear will fry you.